A native to Southeast Asia, the Lionfish is an invasive species and has spread along the Gulf of Mexico. Noble helps prevent the spread of non-native marine life through ballast water management. Summer is a great time for families to pack up and head to the beach. Whether for an afternoon picnic, coastal fishing or a long weekend, a bit of beach sand always seems to find its way back to our homes. Stuck to the bottom of shoes or trapped in towels, we inadvertently bring a piece of the beach back with us. While sand in our shoes brings back good memories and is easy to clean, a different type of stowaway occurs in the ballast tanks of offshore vessels with the potential to cause great harm. Nearly all offshore vessels have ballast tanks, or areas within the hull to store sea water, including Noble’s floating and jackup rigs. Ballast water is taken up or released by a ship to improve stability, or by jackups as a method to increase weight and help drive the legs into the seafloor for a secure footing. Taking on ballast water and sediment can unintentionally include marine organisms, which can be carried over long distances and may end up discharged in a completely different ocean and ecosystem from where they were picked up. Species that can be transported into a different region of the world and become invasive organisms include seaweed, mollusk, shrimp and even small fish. Some of the more famous examples of invasive organisms inadvertently spread by ballast water include the Veined Rapa Whelk and the Lionfish. The Rapa Whelk is marine snail native to the Northwest Pacific but was found in the Chesapeake Bay off of Maryland where it has decimated the bivalve mollusk (e.g. clams, oysters, mussels, scallops) population and is slowly spreading south towards Florida. The Lionfish is native to Southeast Asia and was discovered in Florida waters in 1985. Since then, thanks to the Lionfish’s lack of natural predators and voracious appetite, the Lionfish population has spread into the Gulf of Mexico all the way to Brownsville, Texas. According to a recent study, Lionfish can consume 79 percent of juvenile fish in a reef in just over a month. A depleted juvenile population constricts the growth of new generation of adult fish and disrupts the entire aquatic food chain, including the sport of recreational offshore fishing. 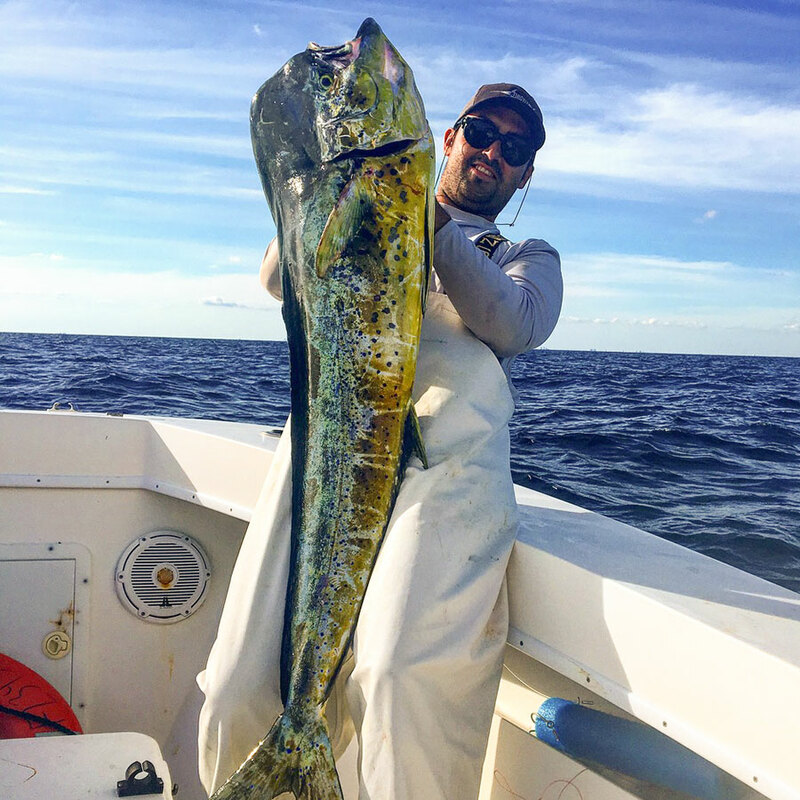 First Engineer on the Noble Tom Madden, Matt Pickett hoists a Mahi-mahi caught deepsea fishing in the Gulf of Mexico. Recreational fishing is a favorite past-time of many Noble employees worldwide. Both fishermen and the ecosystem rely on a healthy population of adult, native fish to create a sustainable future and maintain biodiversity. In order for future generations to enjoy recreational fishing and exploring underwater reefs, action is needed to reduce or prevent invasive species of fish, mollusks and coral in non-native habitats. Environmental Stewardship is one of our core values at Noble. By doing our part to be good stewards of our natural global resources, we help assure that future generations can enjoy the native biodiversity of our oceans and bays.